Syria Audio Analysis: A Final Battle for Aleppo? Not Really. I spoke this morning with Monocle 24’s The Globalist on a wide range of Syrian issues, beginning with the unsupported “news” — spread by outlets from the Syrian Observatory for Human Rights to the regime’s Al-Watan newspaper — of Syrian forces and Hezbollah gathering for an assault on insurgents in Aleppo. Knocking back that story led to analysis of the Assad regime’s political and military objectives in its propaganda, of a possible increase in foreign arms supplies for insurgents, and of the current thoughts within the Obama Administration. 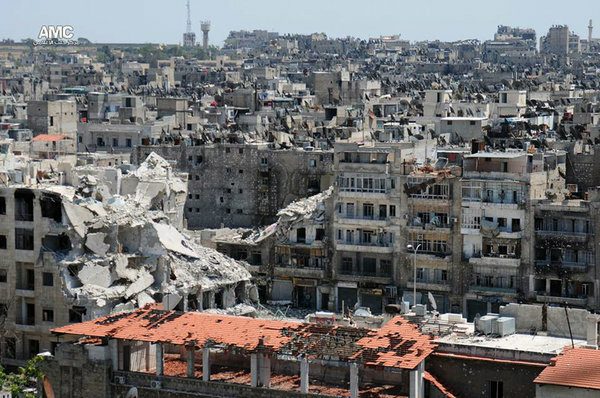 NextSyria Today: A Mass Killing in Hatla?